I just read this article and thought you might want to give it a read, too. 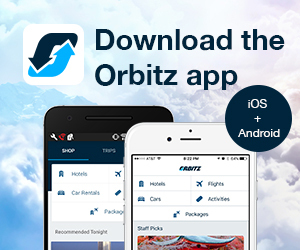 It\'s called 7 reasons why you will fall in love with Victorian San Francisco and you can find it here https://www.orbitz.com/blog/2016/09/victorian-adventures-in-san-francisco/. 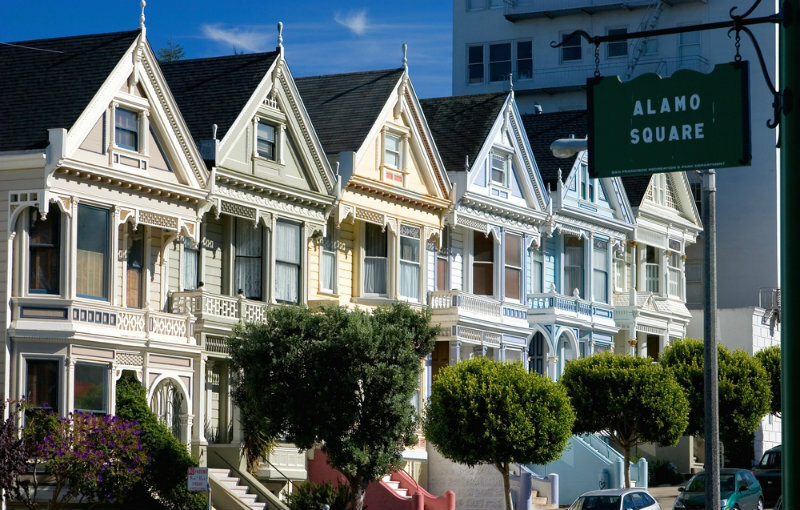 San Francisco is famous for its Painted Ladies and other impressive Victorian-era homes, which vary from modest cottages to elaborate mansions. Quite a few Edwardian houses, which are younger than the Victorians, are also found around town. While it’s always a pleasure to view them from the exterior as you ride around the city, some are actually open as businesses or for organized tours, allowing you to savor them from within. Informative City Guides tours sponsored by the San Francisco Public Library are free, last about 1½ hours and cover areas all over the city. The Billionaire’s Row tour includes exterior viewing of a Victorian firehouse that is now a private residence, and the Victorian San Francisco tour of the Lafayette Square neighborhood (around Pacific Heights) includes fabulous views. A private 2½-hour Victorian Home Walk tour departs from Union Square via an escorted ride on a city bus. The tour, which takes visitors through the posh Pacific Heights neighborhood, begins with an interior viewing of a Queen Anne B&B, includes an exterior viewing of the “Mrs. Doubtfire” Queen Anne and ends on Victorian-lined Union Street in Cow Hollow—the perfect spot for lunch and shopping. 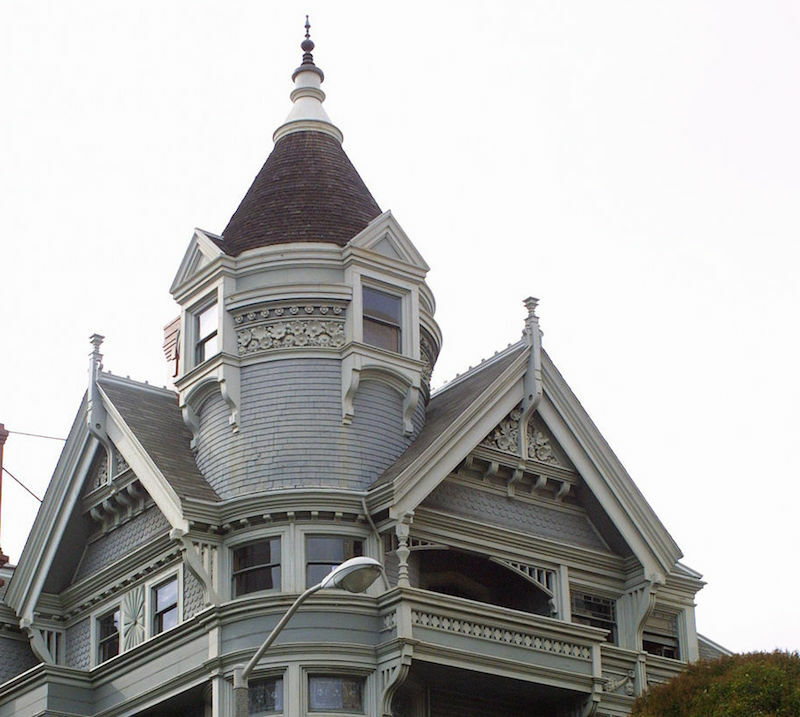 Along the way you’ll learn the differences between the three Victorian house styles: Italianate, Stick and Queen Anne. 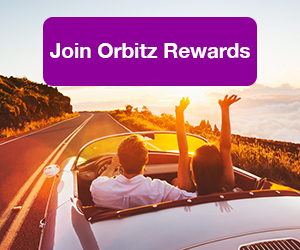 ALSO: See for yourself—Orbitz Rewards gets you free hotels faster! Union Street is loaded with upscale boutiques and trendy dining options housed within repurposed Victorians. You can spend many enjoyable hours browsing here, but of particular interest are the clusters of shops and restaurants found in the Cudworth Mansion farmhouse at #2040 and in the Twin Wedding Houses at #1980. For lunch, consider the Palm House at #2032, which was originally the dairy barn for the Cudworth Mansion next door. 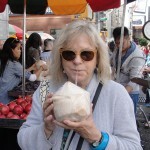 It’s named for the more-than-150-year-old Canary Island palm that the front of the restaurant wraps around (planted in 1867, it is Union Street’s second-oldest and one of San Francisco’s tallest Canary Island palms). Or perhaps small and cozy Rose’s Cafe at #2298, which is within a 1909 Edwardian building, known for its house-baked goods, and reputedly a favorite of writer Danielle Steel’s. 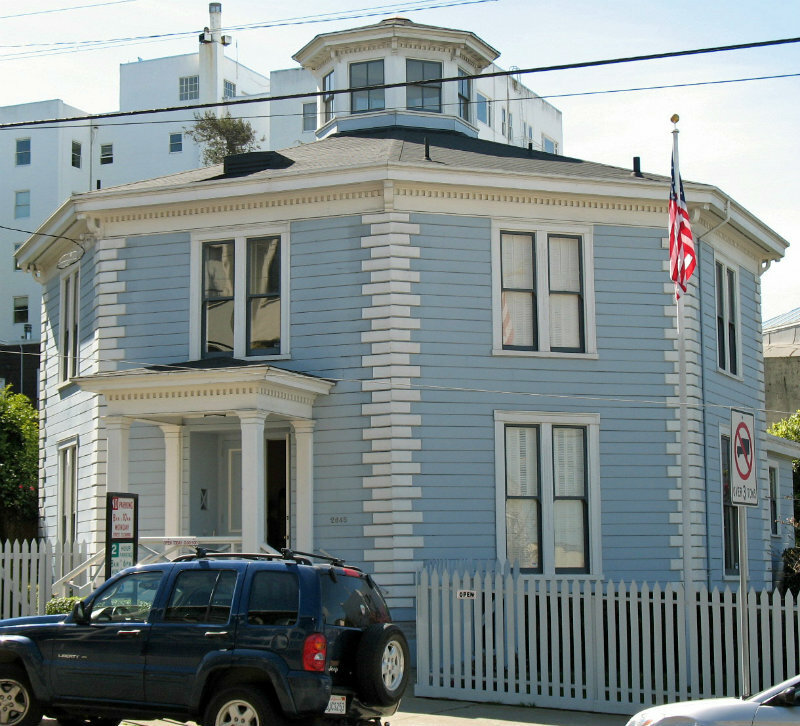 Built in 1861, the two-story, cupola-topped Octagon House is now one of only two left in San Francisco. It is also the only museum of Colonial and Federal decorative arts on the West Coast. Of special interest is a display featuring the signatures of 54 of the 56 signers of the Declaration of Independence. Plan time for a stroll in the house’s manicured garden and adjacent park, and then walk a few blocks down to the center of bustling Union Street and its many Victorian business venues. 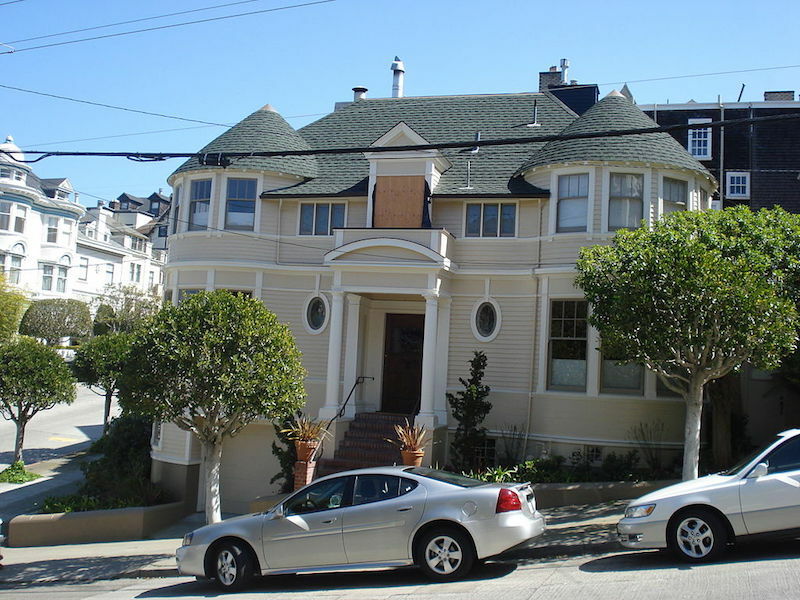 Located in Pacific Heights, the 1886 Queen Anne Haas-Lilienthal House has 24 rooms and 7½ bathrooms. It survived the disastrous 1906 earthquake relatively unscathed and also escaped the fire that followed. Furnishings are mostly original to the house. Tours of the surrounding neighborhood take place Sundays. Nicknamed “Postcard Row,” the 700 block of Steiner Street is home to six Queen Anne Victorians known as the “Six Sisters.” Like other colorfully painted Victorians, these houses are also referred to as “Painted Ladies” and many more are located in the neighborhood. 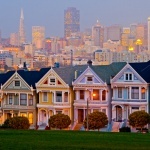 You might recognize this row of houses from the opening credits of TV’s “Full House.” The shot from the top of the park with the city skyline in the distance is a photographer’s favorite. 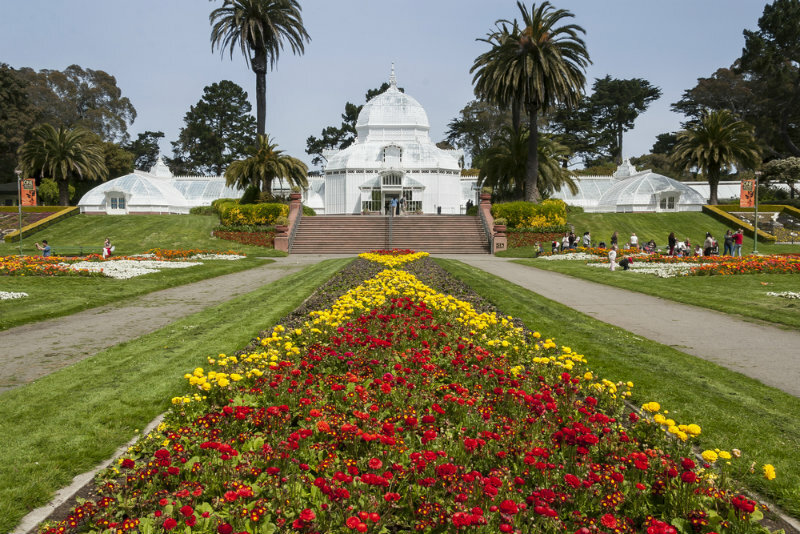 The 1879 Conservatory of Flowers in Golden Gate Park is an impressive and rare example of Victorian prefabricated architecture. A tropical greenhouse with a central dome flanked by two wings, it is the oldest remaining building in the park and the oldest surviving municipal wood-and-glass conservatory in the U.S. Its oldest and largest plant—a 35-foot-tall imperial philodendron—has been displayed in the dome since 1901. And don’t miss viewing the primitive cycads from the dinosaur era and the rare cool-growing orchids that are found in few other botanical gardens. 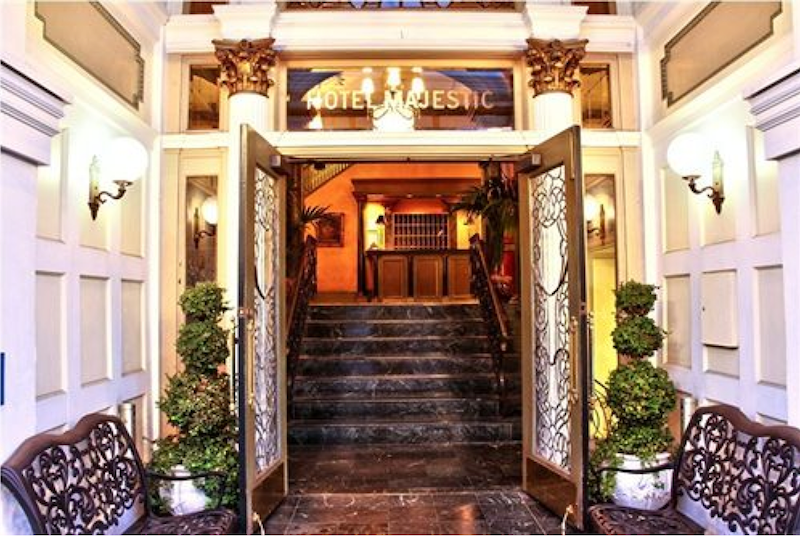 Built originally as a private mansion in 1902 and converted to a hotel in 1904, the small Edwardian-style Hotel Majestic survived the 1906 earthquake and fire, and is the longest continuously operating hotel in San Francisco. Restored vintage features include bay windows, high ceilings, exotic woods, gorgeous marble and clawfoot tubs. The decor makes good use of rich brocades and wallpapers, canopied four-poster beds and fine antiques. 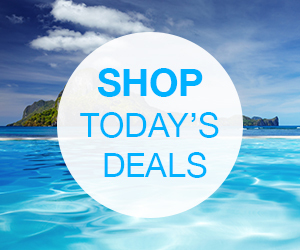 Julia Roberts, The GoGos, and numerous Nobel laureates have slept here.